Bruce Perkins brings over 35 years’ experience across all areas of healthcare finance, delivery and process. Foundational to his leadership and guidance is an informed heuristic with a focus on efficiency, growth and maximizing profitability while at the same time prioritizing customer experience and care at all levels. As a healthcare-focused advisory and consultant, Bruce offers a deep background providing service and guidance to institutional investors and healthcare companies on a national level. 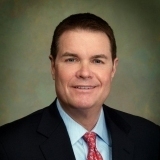 He currently serves in a management, leadership, or advisory capacity under several corporate brands including MCCI Group Holdings, LLC, LHP Hospital Group, Amedisys Home Health & Hospice, Interpreta, and the Marwood Group in addition to serving as a managing member with Perkins, Smith and Associates based in Louisville, Kentucky.